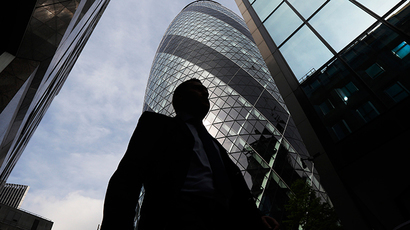 The powerful bank is in the news for attempting to suppress a report into money laundering. This is no surprise as the company’s entire history, right up to the present day, is one of financing drug cartels. HSBC is not known for its transparency. 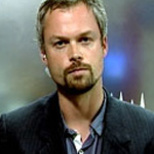 Britain’s wealthiest company, with a stock market valuation of $215 billion, has enough advertising muscle in the British press to ensure that critical investigative pieces have been spiked in both the Sunday Times and the Daily Telegraph – in the latter case, causing that newspaper’s chief political commentator to resign in protest. Then last year, the bank’s friends in the Swiss government sentenced the whistleblower who exposed the bank’s massive facilitation of tax avoidance to five years in prison, the longest sentence ever demanded by the country’s public ministry for a banking data theft case. And back in 2011, HSBC was revealed to be the UK financial sector’s most enthusiastic user of tax havens, with no less than 556 subsidiary companies based in offshore jurisdictions. Tax havens, as leading expert Nicholas Shaxson notes, “are characterized by secrecy… what they are fundamentally about is escape – escape from the rules, laws, regulations of jurisdictions elsewhere. You move your money offshore and you can then escape the laws that you don’t like”. This is clearly an institution with much to hide. So it should not have surprised anybody when, earlier this month, it was revealed that HSBC is now seeking to block the publication of a report into HSBC’s compliance with anti-money laundering laws. After all, it was only three years ago that HSBC was hit with a massive $1.9 billion fine for laundering around $1 billion on behalf of some of the world’s most vicious gangsters. According to US Assistant Attorney General Lanny Breuer, "from 2006 to 2010, the Sinaloa cartel in Mexico, the Norte del Valle cartel in Colombia, and other drug traffickers laundered at least $881 million in illegal narcotics trafficking proceeds through HSBC Bank USA. These traffickers didn't have to try very hard." Taibbi wrote that “In one four-year period between 2006 and 2009, an astonishing $200 trillion in wire transfers (including from high risk countries like Mexico) went through without any monitoring at all. The bank also failed to do due diligence on the purchase of an incredible $9 billion in physical US dollars from Mexico and played a key role in the so-called Black Market Peso Exchange, which allowed drug cartels in both Mexico and Colombia to convert US dollars from drug sales into pesos to be used back home. Drug agents discovered that dealers in Mexico were building special cash boxes to fit the precise dimensions of HSBC teller windows”. 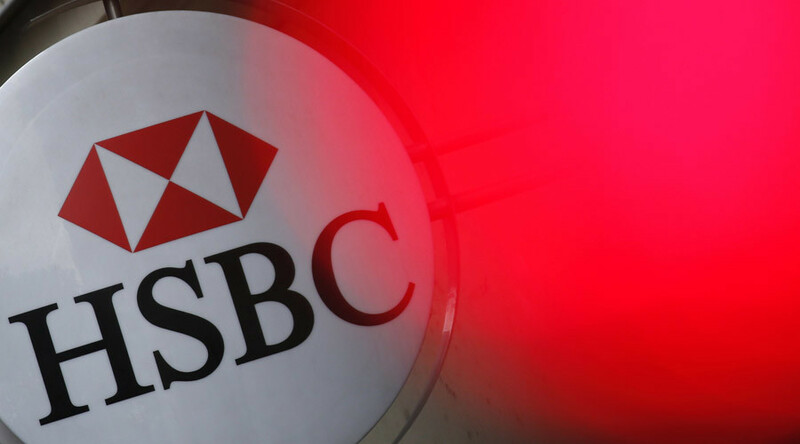 HSBC’s customers – cartels like Colombia’s Norte del Valle and Mexico’s Sinaloa – were at the time involved in mass murder and abuse of the most psychopathic variety, including beheadings and torture videos. The official death toll from these groups in Mexico alone is 83,000 over the past decade. That they have the capacity to carry out violence on such a massive scale is the result of the massive financial growth of their industry. And that growth was willfully facilitated by HSBC. Given that this has all now been established in court, were the rule of law actually applied, the bank’s Charter would have been revoked, and its directors (including former Tory Trade Minister Stephen Green) would now be in jail. The reason this did not happen is that the sheer size of HSBC’s operations make it too strategically important to close down. That is to say, HSBC’s wealth and power put it officially above the law. 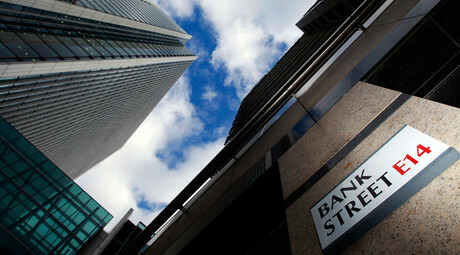 Even its $1.9 billion fine, massive though it might seem, amounted to a mere five weeks profit for the bank. But all of this is entirely in keeping for a bank whose roots lie precisely in illegality, drug trading and massive violence. HSBC’s website notes that it was formed in 1865 to “to finance trade between Europe and Asia”, while the official 763-page history of the company explains that “the expansion of international trade with China had inevitably led to demand for trade finance and money-changing facilities – demand that the traditional Chinese banks, the quianzhuang, had been unable to meet”, with HSBC kindly stepping in to help. Yet neither source deigns to tell their readers of exactly what this trade consisted. The previous century had seen a huge growth in UK imports of tea from China; indeed, these were growing so large that Britain’s silver supplies were draining away to China to pay for them. The problem for Britain was that it had nothing China wanted to buy in return; as Emperor Qian Long explained in a long letter to King George III in 1793, “our Celestial Empire possesses all things in prolific abundance and lacks no product within its own borders. There was therefore no need to import the manufactures of outside barbarians in exchange for our own produce.” But the traders of the British East India Company, which had taken control of Bengal in 1757, came up with an ingenious solution. They would force the dispossessed peasantry of India – starving and desperate following the Company’s destruction of their textile industry through extortionate taxes, plunder and the imposition of ‘free trade’ – onto newly founded opium plantations, and sell this to the Chinese. This was entirely illegal; but that posed no problem for the British, who simply bribed corrupt Chinese officials to turn a blind eye to the trade. By the 1830s the trade had reached 40,000 chests per annum; selling for up to $1,000 per chest, the trade became, according to Frederic Wakeman, “the world’s most valuable single commodity trade of the nineteenth century”, and accounted for almost two-thirds of British overseas trade with China. But this tidy little scam came under serious threat in 1839. By that time, the trade had grown so large that China’s silver was now draining away to Britain to pay for the drug, and the Emperor decided to launch a crackdown. As the Le Monde Diplomatique recounted recently, “a senior Chinese government official, Lin Zexu, known for his competence and moral standing, issued a warrant for [British opium trader Thomas] Dent’s arrest in an attempt to close his warehouses” and eventually forced the British superintendent of trade to surrender 10,000 chests, which were then destroyed. China’s flagrant attempt to protect its citizens and enforce its own laws was deemed an affront too far for the British, who responded by sending gunboats to the coast of China, and opening fire. Town after town was destroyed by cannon fire, and then looted by British troops; indeed, according to historian John Newsinger, “it was during this war that the Hindi word ‘lut’ entered the English language as the word ‘loot’”. In one town alone, Tin-hai, over 2000 Chinese were killed, with the India Gazette reporting that “a more complete pillage could not be conceived…the plunder only ceased when there was nothing to take or destroy”. This destruction continued for three years, until the Chinese agreed to the British terms: handing over Hong Kong to the British, opening more Chinese ports to British trade; paying the full costs of their own bombardment; and fully compensating the opium traders for the loss of their property. One of the items looted was the Emperor’s pet Pekinese dog, taken as a present for Queen Victoria. She called it Looty. This time, the Chinese were forced to legalize the opium trade. Over the decades that followed, the trade would reach dizzying heights, with British opium exports climbing to 60,000 chests per year by the 1860s, and 100,000 in the 1880s, making it, according to the Cambridge History of China, “the most long continued and systematic crime of modern times”, with millions of Chinese addicts paying the price. This was the trade which HSBC was created to facilitate. Thomas Dent – the opium trader whose arrest helped trigger the first of the ‘opium wars’ – was one of its founders. Another was Thomas Sutherland, the Hong Kong superintendent of British shipping company P and O and chairman of Hong Kong and Whampoa dock; opium accounted for 70 percent of maritime freight from India to China at the time. In other words, then as now, the sheer overwhelming dominance of the bank and its backers created an economic dependency on it which effectively put it above the law. The combined impact of Chinese government’s dependency and the growing opium trade created profits which catapulted HSBC to the position of most profitable British bank (either overseas or domestic) within 25 years of its foundation. It would stay at or near this position right up to the present day. Following legalization, Chinese opium production took off, eventually eclipsing even British imports, which ended in 1917. But by this time, HSBC was fully embedded in the Chinese economy, able to position itself as chief financier of the new Chinese entrepeneurs. Indeed, so dependent has the financial system become on the illicit trade that in 2009, the UN drugs tsar testified that it was only laundered drug money that kept the global economy from collapsing during the crisis of 2007-8. Little wonder, then, that wherever you look - from Afghanistan, to Kosovo, to Libya, to Mexico and Colombia, and even ‘at home’ – the policies of the world’s leading financial centers serve to boost the production, distribution and profitability of the drugs trade. And little wonder that HSBC is still keeping their ‘money laundering checks’ to themselves.